There is a certain mystique that lingers when the very name Hogan is mentioned. Much like Vince Lombardi in football, Ben Hogan is a larger-than-life icon whose stories are still revered more than 40 years after his playing career ended. In Ben Hogan’s Secret Fundamental, former PGA Tour player and Life Member of the PGA of America Larry Miller shares previously unpublished insights from the greatest ball striker in the history of the sport. Speculation surrounding Hogan’s secret has become as much a part of the game’s history as the secret itself, but now speculation can be cast aside in favor of the truth. Miller’s mentor, Tommy Bolt, was one of Hogan’s two significant protégés, and through this direct link Miller gained access to golf’s Holy Grail. Miller unveils Hogan’s secret, previously unpublished Hogan stories and useful tips and drills in this informative, instructional and ultimately essential new title. 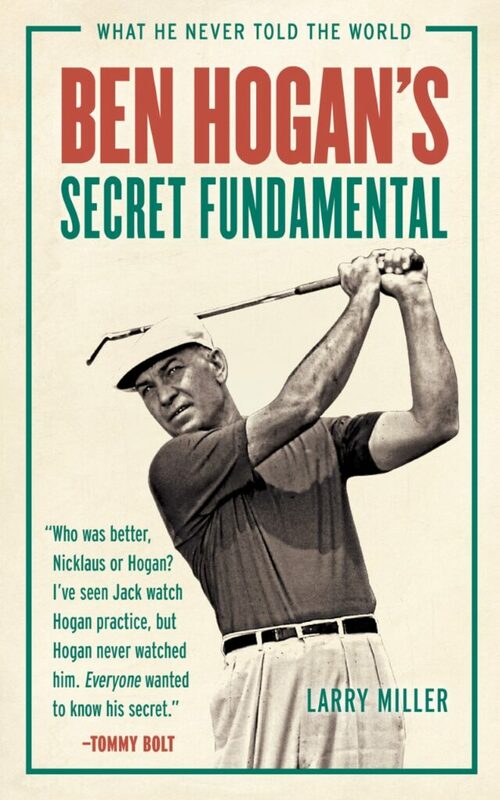 MGM was thoroughly impressed with the book and recommends it to anyone who strives to get better by learning the fundamentals that set Ben Hogan apart from his competitors. It’s a delightful and not overly long read at 236 pages and includes numerous insights from legends of the game that played alongside and/or idolized Mr. Hogan. The paperback book retails for $15 and can be purchased by heading to www.triumphbooks.com or by calling (312) 337-0747.